Sean Rafferty presents top class live music from some of the world's finest musicians. 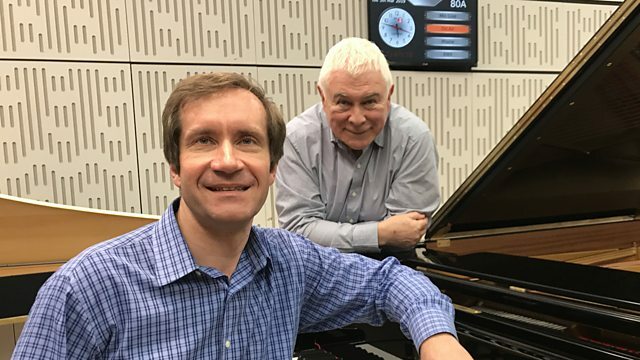 Today's guests include Florilegium, pianist Nikolai Lugansky and conductor Valery Gergiev. Live music from pianist Nikolai Lugansky who performs with Oslo Philharmonic’s UK tour as part of their 100th anniversary celebrations (6-10 March) and early music ensemble Florilegium as they prepare for their concert at London's Wigmore Hall where they'll present works by composers who were in the employ of Frederick the Great of Prussia in the 18th century. And Sean meets conductor Valery Gergiev ahead of his concert with the Mariinsky Orchestra. Tchaikovsky: The Nutcracker - Symphony No. 4. Prokofiev: Romeo & Juliet: Valery Gergiev. Berlioz: La damnation de Faust. Singer: Karita Mattila. Orchestra: London Symphony Orchestra. Conductor: Michael Tilson Thomas. Performer: Dennis Vallenduuk. Choir: La Colombe. Conductor: Iassen Raykov. Orchestra: Academy for Ancient Music Berlin. Conductor: Bernhard Forck. Performer: Ashley Solomon. Performer: Bojan Čičić. Performer: Augustin Hadelich. Orchestra: Royal Liverpool Philharmonic Orchestra. Conductor: Hannu Lintu.